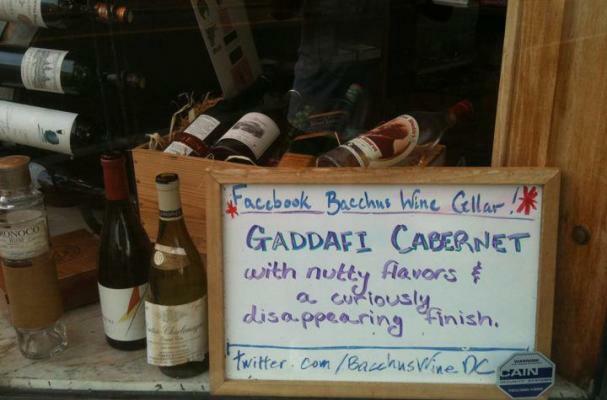 A Washington DC wine shop is advertising what it calls a "Gaddafi Cabernet," calling it a wine with "nutty flavors & a curiously disappearing finish." Bacchus Wine Cellars claims to have a vast collection of wine and spirits that spans the world. They are located in the Georgetown neighborhood of the nation's capital.